As the incoming Newsom administration prepares to unveil its legislative priorities, the single-payer health care concept he has touted will generate a lot of talk. But Capitol skeptics say that despite his promises to make it happen, action will be much more difficult—especially given the idea’s federal obstacles and huge costs. Newsom may be more likely to initially pursue a less ambitious strategy: getting more of the uninsured covered under current government programs. Except that is not what he promised the California Nurses Association, the powerful union that then endorsed and enthusiastically campaigned for him. The union says it’s not going to take no for an answer, and plans to insist on meetings with the governor-elect about how to move forward as soon as he takes office. Extending health care to all Californians has been, hands down, Newsom’s signature health issue. Newsom, the one-time mayor of San Francisco, pledged to create a statewide universal health care program of the sort he backed when he was leading that city. The Healthy San Francisco program, primarily funded from city coffers, provides basic insurance to residents who lack access to health insurance regardless of legal status. Although it is not a single-payer system, the governor-elect has often cited it to illustrate his commitment to coverage. The model would not work across the state but it has the right goals and values, said Anthony Wright, executive director of Health Access California, which advocates for consumers. Newsom has not said how he would pay for a statewide single-payer program, which has been estimated to cost up to $400 billion—roughly triple the entire California state budget, although supporters say much of that would be offset by eliminating consumer costs such as for-profit insurance premiums and deductibles. Newsom contends that a government-run, taxpayer-financed health care program shouldn’t cost that much. The governor-elect has called the current system “inefficient and wasteful” and said his plan would do away with premiums, deduction and co pays and be paid for by taxes. Discussions about a single payer plan in California have fallen short in the past, largely because of costs. Even that could be tough given the federal government no longer mandates everyone have insurance or face a tax penalty. Opponents of single-payer health care insist there are better ways to decrease the number of uninsured in the state. “With so much uncertainty in our nation’s politics, now is not the time to walk away from the (Affordable Care Act, also known as Obamacare) in favor of establishing a new and undefined health care system that would wreak havoc on our patients’ health and the Golden State’s economy,” said a statement from the Coalition to Protect Access to Care, made up of physicians, dentists, nurses and other health care professionals who oppose single payer. 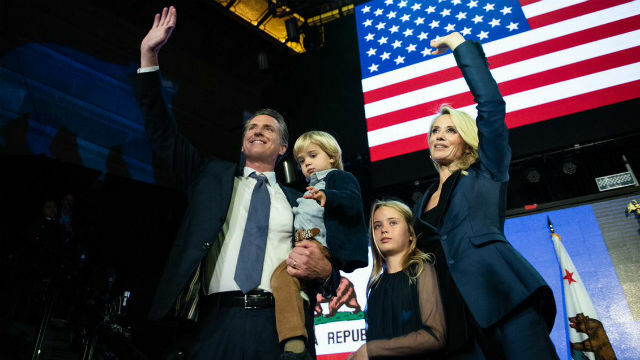 As lieutenant governor, Newsom praised a bill that aimed to set up universal health care, but failed. It would have barred private insurers, and set up a state system funded by taxes and required for all residents. It was a tough sell: Gov. Jerry Brown all but said he wouldn’t support it, insurers fought it, and the cost projections were the kiss of death. Roberson of the nurses union said a new bill in the works will be a fine-tuned version of that bill. “What it’s going to take is political will, to sit in a room and not emerge until we find a way to reach that goal,” she said. Newsom has also called for increasing funding for mental health, with a focus on diagnosing and supporting younger patients.